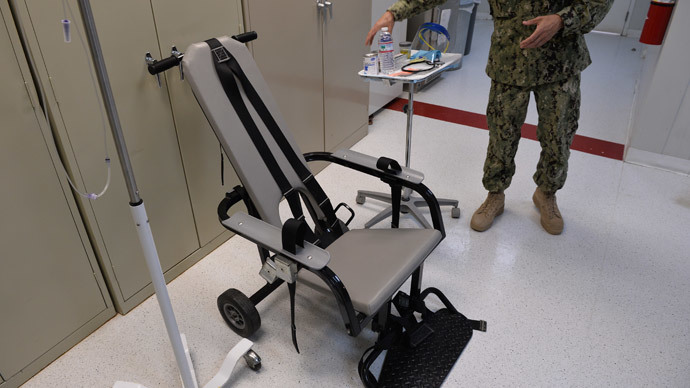 The agonizing pleas of a Guantanamo Bay detainee who has been held by the United States and subjected to painful force-feeding for a decade are recounted in court documents published this week by a human rights attorney who visited him earlier this month. On Thursday, new filings in the US District Court for the District of Columbia case of Mohammad Ahmad Ghulam Rabbani v. President Barack Obama were made public, revealing as a result the details of a recent visit paid to the detainee by Cortney Busch, an operations manager and security-cleared paralegal with the legal action charity Reprieve. 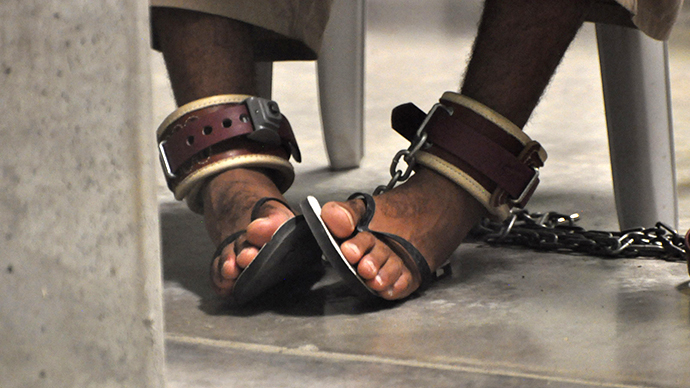 During her May 5 and May 7 visits, Busch spoke to Rabbani at length about the force-feeding procedure he’s been repeatedly subjected to while protesting at Gitmo by refusing to ear. She surrendered her notes at the end of her visit earlier this month, attorneys for Rabbani write in Thursday’s filing, and received a cleared copy back this week — now the detainee’s lawyers want her account entered with the court. According to Busch, Rabbani told her that a string of recent force-feedings had been carried out incorrectly, causing him not just tremendous pain, but the development of a chest infection as well. “Mr. Rabbani related to me that he could feel the liquid push up his throat and then begin to drop back down it. He eventually coughed up the tube at which point the nurse came running into the room and told Mr. Rabbani ‘I did not make a mistake,” she wrote. Within days, Rabbani was experiencing intense chest pain and believed he had developed an infection. Medical workers continued to administer force-feeding nevertheless, during which in one instance he began coughing up blood and eventually lost consciousness. “When Mr. Rabbani awoke, he vomited blood on himself three or four times before he again lost consciousness,” Busch wrote. Despite the infection and the ongoing ordeal involved with administering the force-feeding, Rabbani was given only a two-day break from the procedure, Busch wrote. 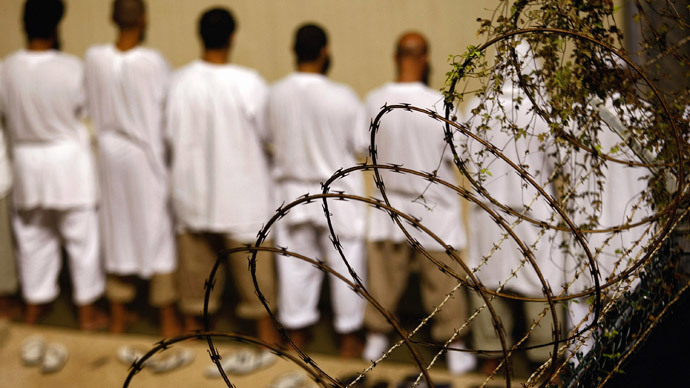 She goes on to document how Rabbani cried and coughed in front of military personnel and Gitmo nurses as these botched procedures continued, but his pleas to be left alone were routinely ignored. Instead, he was continuously subjected to force-feeding — as do all hunger-striking detainees at the prison — which in most instances causes complications, according to Rabbani. Indeed, Busch’s declaration and an application for permission to file it with the court provide a dark retelling of the recent mishaps, which are only the latest endured by Rabbani. According to a confidential detainee assessment brief provided to WikiLeaks in 2011 by currently-imprisoned intelligence source Chelsea Manning, Rabbani was caught in September 2002 in Karachi, Pakistan, and held there until May 2004 when he was transferred first to the US Air Force base at Bagram, Afghanistan, then Gitmo four months later. 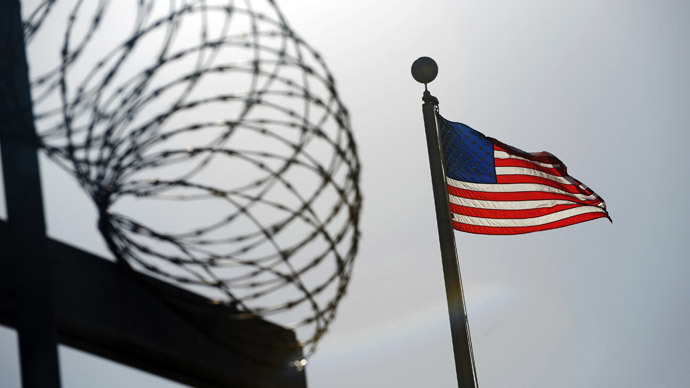 In 2006, the New York Times claimed that Rabbani was among the suspected terrorists held abroad by the US at a Central Intelligence Agency “black site” after he was first captured. “Because of a peaceful protest aimed at securing basic legal rights, my client has been put through a painful, near-daily ordeal,” Cori Crider, a strategic director at Reprieve and counsel for Rabbani, told The Guardian’s Karen McVeigh on Thursday. 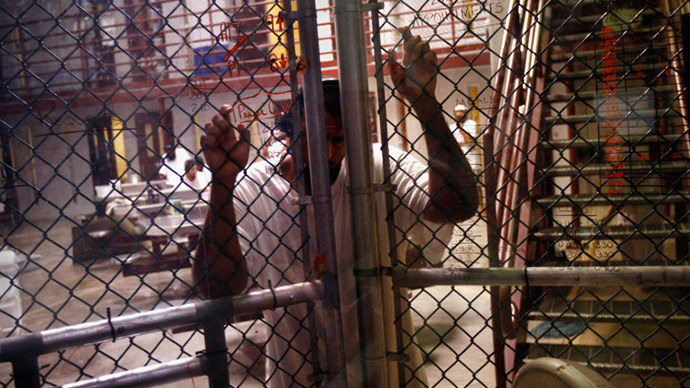 “All this would be unnecessary if the [Obama] administration would just follow through on its promise to close the prison,” Crider wrote. Earlier this week, White House press secretary Jay Carney said the Obama administration would consider vetoing an annual Pentagon spending bill because it contains a provision that will further complicate the president’s long-delayed vow to close the detention facility. The bill, with the amendment intact, was approved by the House of Representatives on Thursday. As RT reported then, the White House previously threatened to halt that same bill — the National Defense Authorization Act, or NDAA — in 2011 over concerns pertaining to an unrelated provision. Nevertheless, Pres. Obama signed the bill into law on December 31 of that year. According to the classified detainee assessment brief published by WikiLeaks, Rabbani told American officials that he met former Al-Qaeda leader Osama bin Laden in Kandahar, Afghanistan in 1997, and began working as a facilitator for his terrorist organization later that year. In 1999, according to the document, Rabbani began working directly for bin Laden’s chief of operations. He has been held at Gitmo for one decade without charge.